Franck's father was an amateur art collector who often took his daughter to galleries and museums. Franck was in boarding school from the age of six onwards, and her mother sent her a postcard every day, frequently of paintings. Ms. Franck, attended Heathfield School, an all-girls boarding school close to Ascot in England, and studied the history of art from the age of 14. "I had a wonderful teacher who really galvanized me," she says. "In those days she took us on outings to London, which was the big excitement of the year for me." Franck studied art history at the University of Madrid and at the Ecole du Louvre in Paris. After struggling through her thesis (on French sculptor Henri Gaudier-Brzeska and the influence of cubism on sculpture), she said she realized she had no particular talent for writing, and turned to photography instead. In 1963, Franck's photography career started following trips to the Far East, having taken pictures with her cousin’s Leica camera. Returning to France in 1964, now possessing a camera of her own, Franck became an assistant to photographers Eliot Elisofon and Gjon Mili at Time-Life. By 1969 she was a busy freelance photographer for magazines such as Vogue, Life and Sports Illustrated, and the official photographer of the Théâtre du Soleil (a position she held for 48 years). From 1970 to 1971 she worked in Paris at the Agence Vu photo agency, and in 1972 she co-founded the Viva agency. In 1980, Franck joined the Magnum Photos cooperative agency as a "nominee", and in 1983 she became a full member. She was one of a very small number of women to be accepted into the agency. In 1983, she completed a project for the now-defunct French Ministry of Women's Rights and in 1985 she began collaborating with the non-profit International Federation of Little Brothers of the Poor. In 1993, she first traveled to the Irish island of Tory where she documented the tiny Gaelic community living there. She also traveled to Tibet and Nepal, and with the help of Marilyn Silverstone photographed the education system of the Tibetan Tulkus monks. In 2003 and 2004 she returned to Paris to document the work of theater director Robert Wilson who was staging La Fontaine's fables at the Comédie Française. 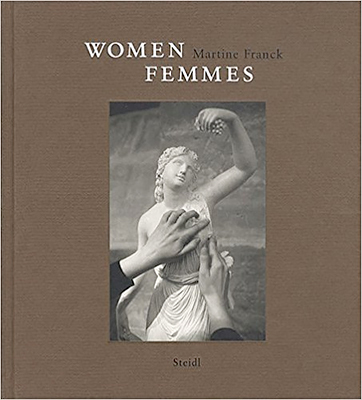 Nine books of Franck's photographs have been published, and in 2005 Franck was made a chevalier of the French Légion d'Honneur. Franck continued working even after she was diagnosed with bone cancer in 2010. Her last exhibition was in October 2011 at the Maison Européenne de la Photographie. The exhibit consisted of 62 portraits of artists "coming from somewhere else" collected from 1965 through 2010. This same year, there were collections of portraits shown at New York's Howard Greenberg Gallery and at the Claude Bernard Gallery, Paris. Franck was well known for her documentary-style photographs of important cultural figures such as the painter Marc Chagall, philosopher Michel Foucault and poet Seamus Heaney, and of remote or marginalized communities such as Tibetan Buddhist monks, elderly French people, and isolated Gaelic speakers. 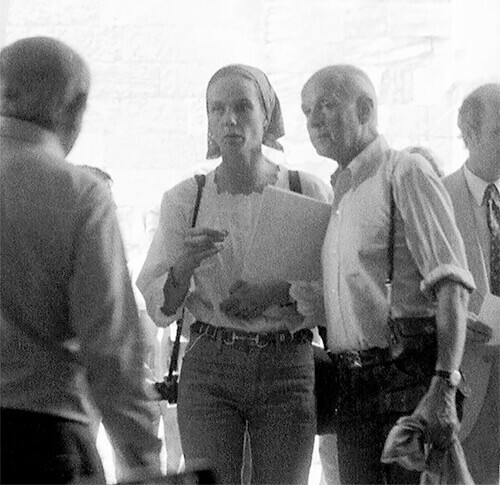 Michael Pritchard, the Director-General of the Royal Photographic Society, observed: "Martine was able to work with her subjects and bring out their emotions and record their expressions on film, helping the viewer understand what she had seen in person. Her images were always empathetic with her subject." 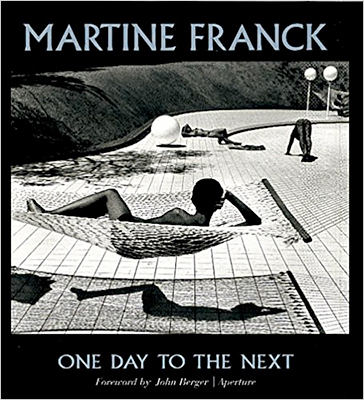 In 1976, Frank took one of her most iconic photos of bathers beside a pool in Le Brusc, Provence. By her account, she saw them from a distance and rushed to photograph the moment, all the while changing the roll of film in her camera. She quickly closed the lens just at the right moment, when happened to be most intense. She cited as influences the portraits of British photographer Julia Margaret Cameron, the work of American photojournalist Dorothea Lange and American documentary photographer Margaret Bourke-White. In 2010, she told The New York Times that photography "suits my curiosity about people and human situations." She worked outside the studio, using a 35 mm Leica camera, and preferring black and white film. The British Royal Photographic Society has described her work as "firmly rooted in the tradition of French humanist documentary photography." "Taking a portrait of someone--be it man or woman--starts with a conversation. It is important for me to try and catch the person when they are listening or when they are in a pensive mood or have forgotten my presence. 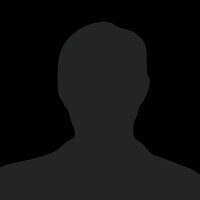 I rarely ask a person to pose for me as I prefer that they reveal themselves as they wish. For me the eyes and the hands are most important and when possible I like to use natural light. All through my life as a photographer I have made a point of photographing women whom I admire, who have done something special with their lives, who have protested against their fate, also those close to me like my daughter and grand daughter and intimate friends all of whom appear in this collection." --Martine Franck. Martine Franck has travelled the globe photographing the social landscape. This book brings together a selection of her photographs of women, from factory workers in Bucharest to geishas in Kyoto and encompassing the film stars, artists, writers and performers she has photographed since the 1960s. It is both a celebration of women and a testimony to the unique vision and empathy of a great photographer.